When dealing with divorce, estate planning, corporate or real estate matters, it is important to seek knowledgeable advice from an experienced lawyer to ensure your rights are protected. Since 1974, Curtis & Burnight, A Professional Corporation, with offices in Seal Beach, has been a trusted source for delivering sound counsel and efficient representation to clients throughout Orange County, California. We have the knowledge and skills to execute effective strategies aimed at safeguarding your rights and resolving issues in your favor through negotiations, arbitration, mediation or trial. Let us skillfully guide you through the legal process and assist you in realizing your goals. Strong ties to the community — In addition to successfully representing individuals and businesses in Orange County for more than four decades, our firm maintains a high level of involvement in the legal community. Members of our firm have served as president of the Long Beach Bar Association and as volunteer mediators and temporary judges, and are active with the Los Angeles and Orange County bar associations. 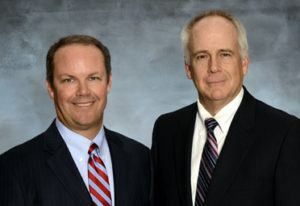 Trustworthy, skilled legal representation — Our attorneys are esteemed by clients and colleagues alike: Mark Curtis is AV® Preeminent™ Peer Review Rated by Martindale-Hubbell®, and Gregory J. Burnight is DistinguishedSM Peer Review Rated by Martindale-Hubbell® for their high ethical standards and professional ability. Detailed advice and strategic long-term planning — We thoroughly evaluate each case and look at every angle to provide in-depth guidance as we advise clients on current and future plans. Our goal is to steer you toward making informed decisions now to avoid potential problems down the road. Our attorneys come highly recommended for their ability to find solutions to complicated issues and to help clients achieve their objectives. We are proud that four former members of our firm have served as members of the judiciary, including the Honorable Michael G. Nott, retired justice of the California Court of Appeals, and Honorable Chris R. Conway, retired. Family law — Drawing on an extensive background in family law, we provide exemplary advocacy for divorce, legal separation, child custody agreements and modifications, child support enforcement and collection, adoptions, premarital agreements, and California community property law. Estate planning — We offer up-to-date estate planning guidance and prepare the necessary legal documents to help clients protect their family legacies. We can advise you on a wide range of issues, including living trusts, special needs trusts, wills and powers of attorney. Probate and trust administration — We capably represent individuals, corporate fiduciaries and beneficiaries in a multitude of probate and estate administration matters, such as distributing assets, negotiating with creditors, resolving disputes, filing estate tax returns and appointing conservators. We also handle trust administration matters. Business and corporate law — Our firm has a long history of advising companies on a variety of business law matters, such as formation, incorporation, contracts, employment and labor issues, and dispute resolution. Real estate — We assist brokers, escrow holders and other real estate professionals with planning, transactional and litigation services. No matter how complicated an issue you face in any of these areas, we are committed to helping you find a satisfactory resolution. Whether you’re ending a marriage, forming a business, setting up a trust, or buying or selling a property, Curtis & Burnight, A Professional Corporation will strongly advocate for your interests. To schedule a confidential meeting to discuss your legal concerns, please call our Seal Beach law office at 562-472-0760 or contact us online. Curtis & Burnight, A Professional Corporation is located in Seal Beach, CA and serves clients in and around Yorba Linda, Foothill Ranch, Aliso Viejo, Costa Mesa, Laguna Hills, Lake Forest, Tustin, Newport Coast, Irvine, Corona Del Mar, Silverado, Laguna Beach, Rancho Santa Margarita and Orange County.